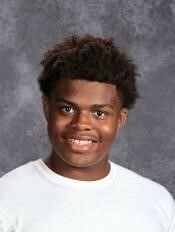 Sept. 6, 2018 -- Artwork by Heights High tenth grader Keshaun Madlock has been selected by the Ohio Art Education Association for its annual Emerging Artist Exhibition in Columbus. Keshaun is a student of Heights High art teacher Ms. Nancy Rich. 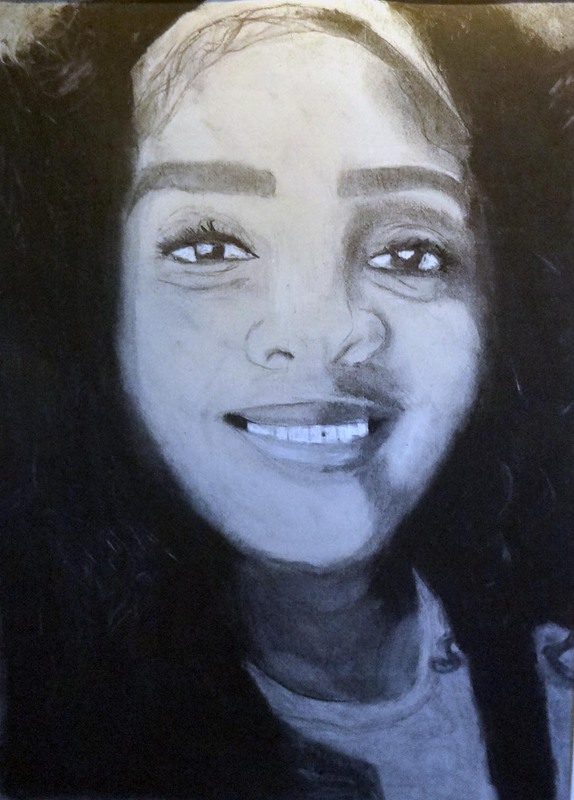 Ms. Rich said Keshaun's piece titled "Portrait of my Mom" was done in charcoal. The assignment was for Black History Month. Students were to create a portrait of an African American who has made a positive impact on society or someone that inspires them. According to the OAEA, 153 out of 240 pieces of artwork were selected for this juried show from the nine OAEA regions in the state of Ohio. This show is designed to help motivate and inspire new artists to excel in areas of drawing, painting, sculpture, crafts, computer art, photography and printing. The selected works are on display at the State Teacher’s Retirement Systems (STRS) building, 275 East Broad Street, from September 10 to October 20. The OAEA is the professional organization for art teachers in Ohio with a membership of close to 2,000 educators. OAEA works to promote art education and recognizes quality student art through various exhibits sponsored during the year at both the state and regional levels. To celebrate the teachers and students, there will be a reception on October 20 at the STRS building at 2 p.m. The students will receive certificates, prizes and several works will be selected for special awards.